We love to share what we have learned! An innovative and exciting approach to the study of yoga. Steeped in ancient wisdom and informed by cutting-edge study in the field of body-awareness, EMBODYOGA® introduces us to “embodied-inquiry” techniques that invite us deeper into ourselves. Embodied-inquiry is a methodical practice for experiencing directly — through sensing, feeling and witnessing — every aspect of intelligence and clarity as it expresses through us. The embodied-inquiry techniques of EMBODYOGA® blend with our practice of asana, pranayama and meditation giving rise to intimate self-knowledge. Self-knowledge breeds acceptance, contentment and love; insight and inspiration flow spontaneously. RADICALLY DEEPEN YOUR FIELD OF AWARENESS & OPEN TO A FULLER VISION OF ALL THAT YOU ARE. This immersion is a gateway to personal transformation. If you want to significantly deepen your yoga practice, understand and experience the layers of your Self more fully, this immersion is for you. It is the first 100 hours of the 200 hour teacher training. 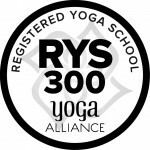 Open to yoga students and teachers of all traditions.A gateway to personal transformation designed to significantly deepen practice, understanding and experience for students and teachers of all traditions. Increase self-knowledge, acceptance and love through “embodied-inquiry”, asana, pranayama, meditation and philosophical study. Our EMBODYOGA® programs are well-rounded, in-depth studies of yoga with an emphasis on personal experience and embodiment as the basis for becoming a yoga teacher. The training consists of all 4 Modules. Modules 1 & 2 define our 100-hour Immersion program. Modules 3 & 4 complete the 200-hours needed for teacher training. Increase self-knowledge, acceptance and love through advanced studies in “embodied-inquiry”, asana, pranayama, meditation and philosophy. Our Embodyoga® programs are well-rounded, in-depth studies of yoga with an emphasis on deepening personal embodiment as the basis for developing depth and power as a teacher. Learn to teach the embodied-inquiry practices of Embodyoga® and share the depth of this experience with your students through Precision Alignment and Vinyasa Yoga. Yoga practice and teaching are lifelong passions for many of us. We are constantly developing and deepening our understanding, our approach to practice, and our teaching skills. Please consider joining us or hosting one of our excellent and comprehensive training programs or workshops.